The Alcohol EDU link was sent to all NYUAD students on September 17 (not September 15 as we originally thought). You may have students who have not yet completed Part 1 of Alcohol EDU. If this is the case, you can skip Activity 2 and jump right into the rest of the content. 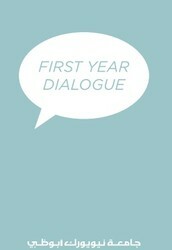 The content in Dialogue 3 may require quite a bit more prep than the previous dialogues. Please allow yourself some time to go through the content before meeting your group. As always, it is okay if you don’t get through all of the content. It is more important to have open communication and valuable discussion. If you are asked a question you don’t know the answer to, it is okay to tell the students “I have to check on that – I will get back to you.” Write down the questions and let Mary or Samantha know and we will get you an answer, or a resource for the students. The messaging around Alcohol this year is very serious. Due to this, students may be afraid to seek help for themselves or for friends if they have consumed too much alcohol. Please share the amnesty statement from Residential Education below with students. In cases of intoxication and/or alcohol poisoning, the primary concern is the health and safety of the student(s) involved. Students are strongly encouraged to call for medical assistance (02 628-5555) for themselves or for a friend/acquaintance who is dangerously intoxicated. **Note – this statement does not mean that does not mean that consequences are completely eliminated. It may be deemed valuable for the student to meet with a health educator, attend a class or seek counseling; however, in this instance, there will be no disciplinary record. As always, please let us know if you have questions or concerns or need extra support. In response to questions regarding University policies on Sexual Assault, Dave will be available at the following times for Q&A sessions in his office.